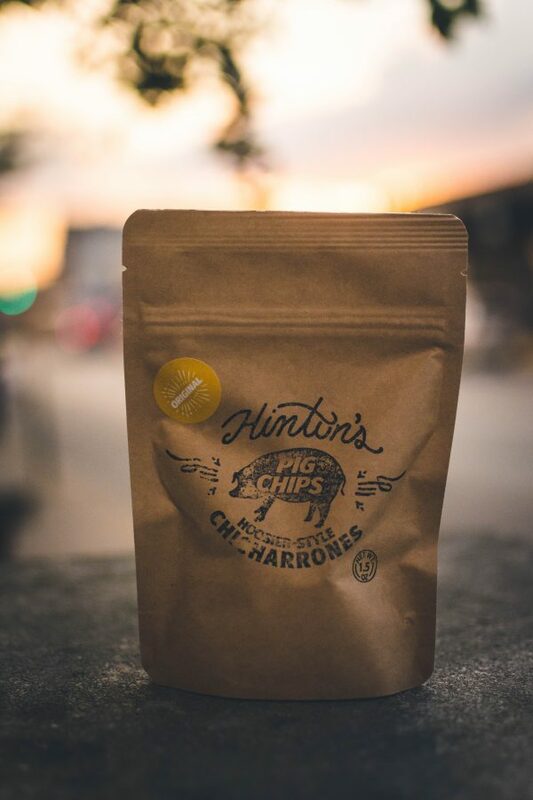 Hinton’s Pig Chips in our Signature Original seasoning blend. This is where it all got started, right in the Hinton household kitchen. These pork rinds feature an intense blend of garlic, cayenne, and a few other key herbs and spices. Not truly spicy, but just enough kick to leave a little tingle on the tongue. Rendered pork fat with skin and meat attached, salt, spices, and love! 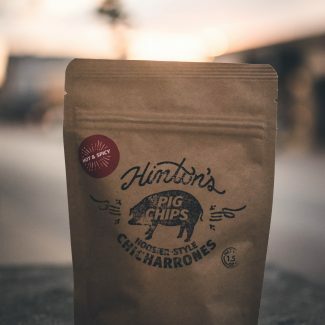 Hands-down my favorite chicharrones on the market. Very crunchy on one side, they have a very melty, fatty texture on the other with a very intense and addictive seasoning blend. I wish I could buy them locally to save on the shipping, but I guess I’ll just have to stock up when I can! I sent these to my fiancé who is serving overseas. Exact words “these are so delicious, I want to lick the inside of the packet”. I’m stockpiling up on them now so I can send them over to him! Thank him for his service, and for the killer review!!! Wow these are DELICIOUS!!! The seasoning on them is out of this world and I love the crispy on one side, melt in your mouth fatty goodness on the other side. 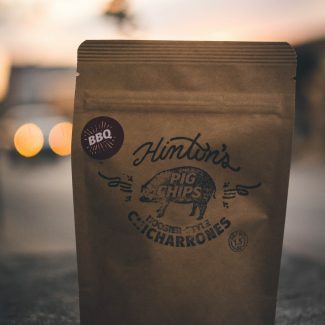 I bought a variety pack and am super excited to try BBQ next! Would love to get these locally (we’re in IL). Keep up the great work! Received these in my first Keto sample box and they are DELISH! So happy to have discovered a new favorite snack. Placing my first order today and I will be back for more! I loved these! They came in my Keto box and I couldn’t put them down. Definitely will be ordering these!